The past few weeks I had to be out of the studio and am now catching up on things around here! Life just requires us to be flexible sometimes and revise our plans as we go…I find it challenging to adjust, or put on hold, work and business tasks, but have learned to expect that this is a normal occurrence. 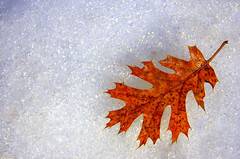 Some of my collected autumn leaves….Have you been collecting on your walks? Studio News!! : I am creating an on-line shop, which will be open very soon! 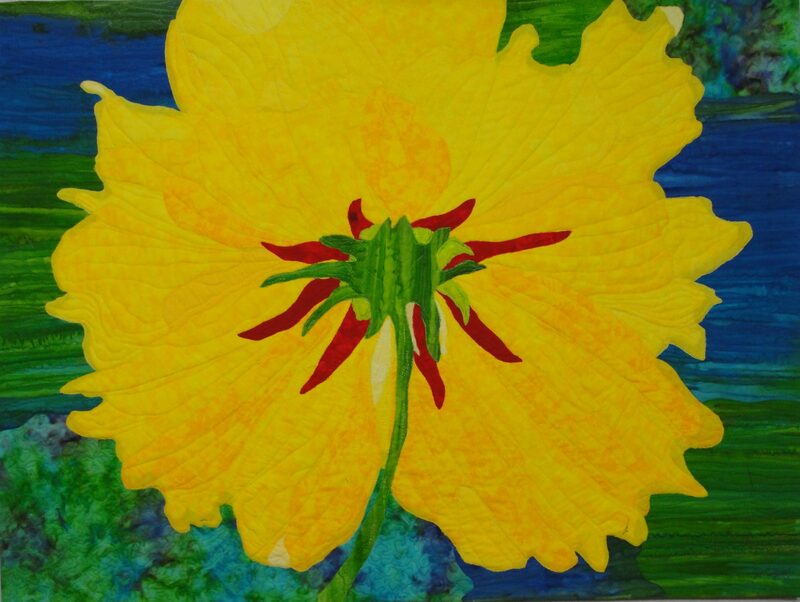 I hope you will visit and view the new archival Art Prints of select art quilt originals that will be available. Included, from the Sea Images series, will be prints of Fractured Fish #1 and Fractured Fish #2. The latest studio original art quilt, Fractured Fish #2, will also be available! The first Studio Printing Day will also be announced soon! Prints that are ordered will be individually printed in the studio by me, the artist. They will be signed and matted, ready-to-frame. I look forward to creating these reproduction prints, using high quality pigment inks and archival quality papers and materials! These will be perfect for Art Lovers, Art Collectors, and Creatives of Life, looking for unique prints for their own collections or for gifts to others! Red Fall leaves by a country pond! I have heard the saying that The only thing that doesn’t change in Life, is that Life changes. So maybe that is why we enjoy an old toy, a familiar favorite book, or a family heirloom. Perhaps they feel more lasting and unchangeable? With the changing of the seasons, we are reminded that nothing really stays the same, but is dynamic, changing, and constantly in transition. 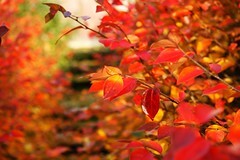 It seems like summer has barely arrived, but the other day I saw the first colors of change…Autumn’s first colors! Gradually the days and nights have been cooler here in the mountains, and in a few weeks the fall season will arrive for sure. Whether we are ready or not, schools have begun, sweaters are taken off the shelves, and tree leaves will turn colors and fall to the earth. We will rake leaves, adjust, make the necessary changes, try to be flexible, and make the needed transition from summer to fall. How many times do we repeat this cycle during our lifetimes? Not just from one season to the next, but from one time of life to the next? Growing up and leaving home for college? Going from being a couple to having a baby? Or, in our careers going from one job to another type of work? As an artist, working in one technique or style and changing to explore self-expression in a new medium? …as we have learned with the coming of Autumn’s first colors. So far this month has been one of many contrasts! The great autumn colors of the trees have seemed especially brilliant outside our windows this year. Some days have been wonderfully warm and sunny, perfect for time outdoors hiking on a mountain trail or raking the falling leaves. While on other days the temperatures have plunged below freezing, as if warning us to prepare for the coming winter! 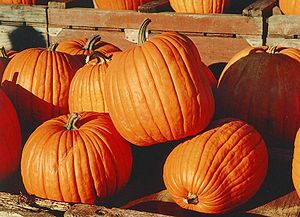 The area farms display an abundance of pumpkins, gourds, and varieties of squashand apples to take home and find the recipes for fall dishes, such as traditional pumpkin pie, baked butternut squash, apple crisp, and pumpkin soup. It is an inspiration to the eyes of an artist, as well as to the resident chef. As the month of October ends, I am reminded of how life just does not stay constant but is always changing and transitioning into new phases. Sometimes I am ready, sometimes not, but nature just outside my window is always there… quietly reminding me.